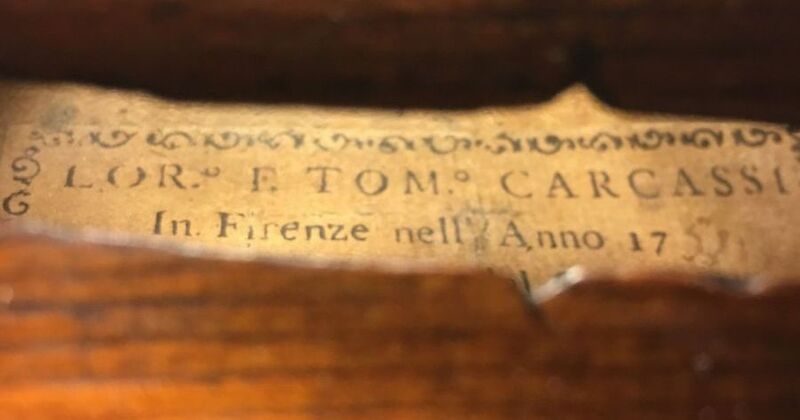 Working in Florence during the second half of the eighteenth century, these two brothers shared a workshop, and crafted violins together, producing a joint label to that effect, such as the one pictured here. Whilst they also worked independently, it was more common for them to collaborate with each other. The previous post concerning Richard Duke mentions how Duke and the London trade focused on following the model of Jacob Stainer. 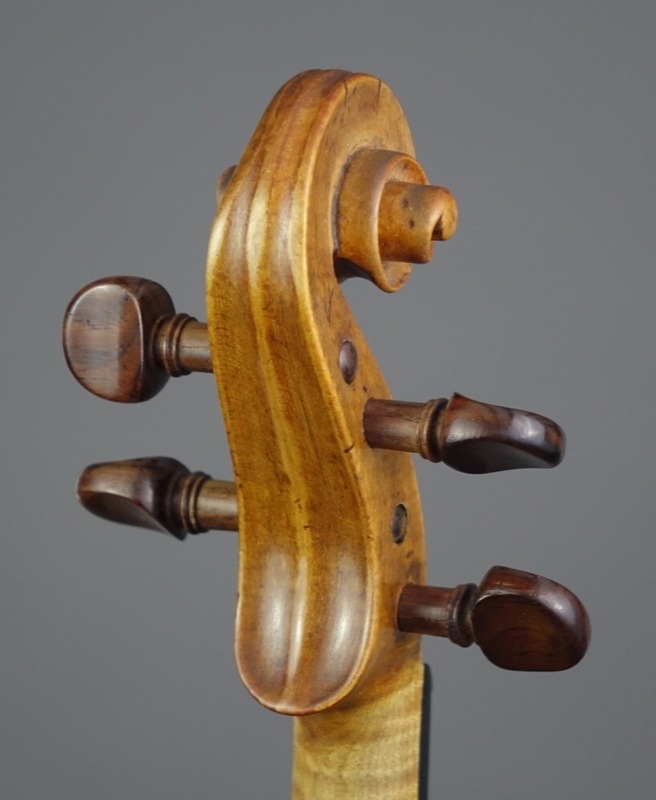 Interestingly Luthiers in Florence in the middle of the eighteenth century were also firmly rooted in this practise. The Carcassi brothers were no exception, and were great exponents of this form. 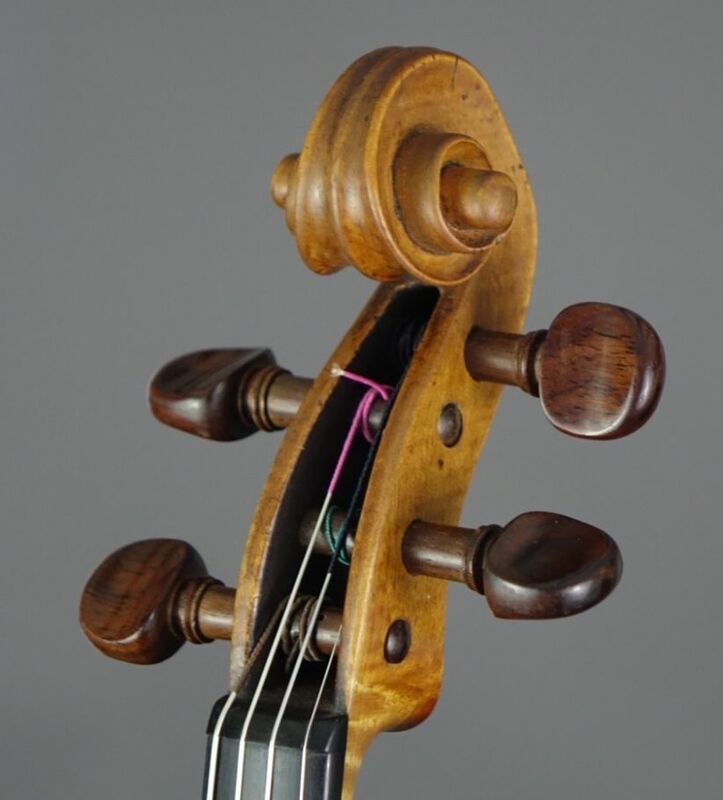 It is thought that they studied under Giovanni Batissta Gabrielli, who was heavily influenced by Stainer, and therefore, it is no surprise that they continued in this vein. Pictured here is an example from 1758. 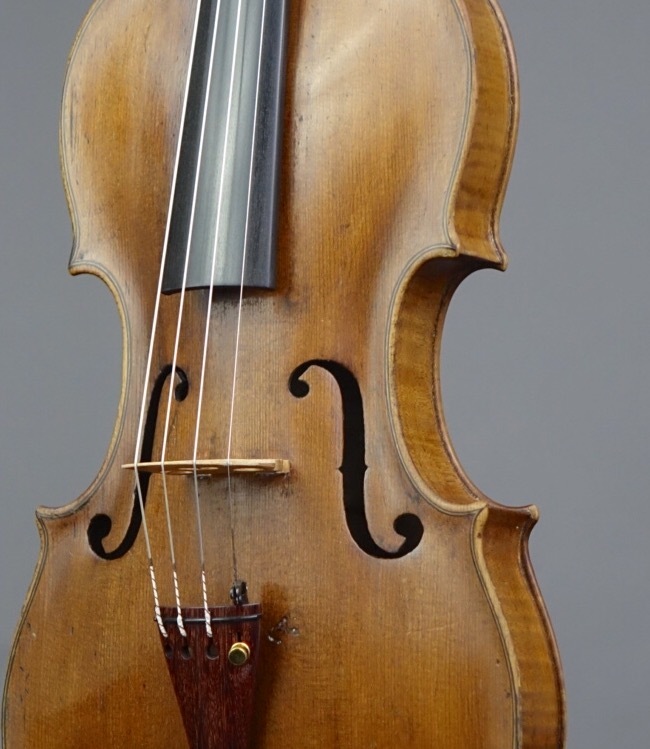 It features a highly arched belly, and fairly deeply cut sound holes, with a varnish very typical of both this period and region of Italy. The scroll is especially charming, and demonstrates a great deal of fluidity.